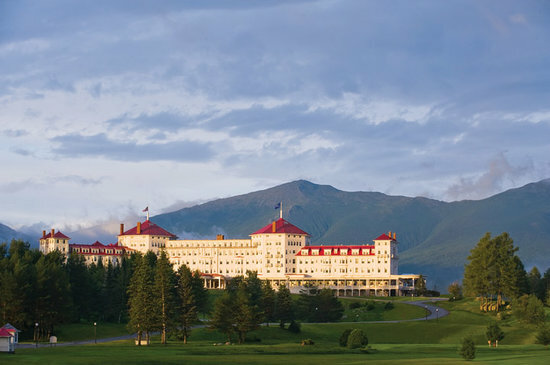 The Omni Mount Washington is a grand historic hotel dating from the turn of the 20th century, majestically situated in the heart of New Hampshire’s White Mountains. The scenery is nothing short of gorgeous, with the 6,288-foot Mount Washington, New England’s highest mountain, visible from many of the rooms. The main hotel holds 200 guestrooms and suites under its red peaked roofs, along with plenty of rooms for the little ones to explore and stretch their legs — including seven separate drinking and dining locations, a wraparound verandah and a grand hall with fireplace. The hotel’s claim to fame is its history as the site of the 1944 International Monetary Conference that resulted in the Bretton Woods Accord that established the current system of global finance — budding history buffs with enjoy the plaques on many of the doors listing the dignitaries who stayed there, and an exhibit on the ground floor showing off souvenirs of the conference. The 800,000 acres of the resort also contains two other lodgings — the Bretton Arms Inn, which is more intimate for couples and also has pet-friendly rooms, and The Lodge, which caters specifically to cross-country skiers in the winter. Attached to the resort is the acclaimed Bretton Woods Ski Area, the largest in New Hampshire, with 434 acres of ski and snowboard terrain, 101 trails and glades, four terrain parks and nine lifts. Its Nordic Center is one of the largest cross-country areas in the East, with an impressive network of trails. A Canopy Tour, inaugurated in 2009, is one of the largest of its kind in North America, with 10 zip lines — some up to 900 feet long — connecting platforms more than 50 feet off the ground. Open year-round, the tour takes more than three hours to complete, and includes explanations of the alpine environment by naturalist-guides. 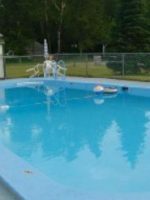 The rest of the resort is also open in warm-weather months, and offers a wide range of outdoor activities for the whole family, including horseback riding, golfing and fishing. Additionally, Omni Mount Washington Resort has recently debuted two new climbing activities – the outdoor West Wall Climb and the indoor Slopeside Climbing Wall – both suitable for climbers of all abilities and experience levels. The Polaris Ranger Mountain tour, also new, allows guests to explore the higher summits of Bretton Woods on a guided off-road adventure. The resort has poured more than 50 million dollars into sprucing up all of the rooms and suites in a soothing palette of earth tones, refurbishing bathrooms and creating a new Presidential Wing with additional suites, a new cutting-edge spa and conference center. The resort further plans to restore its Donald golf course to its original glory. Learn more about Omni Hotels. 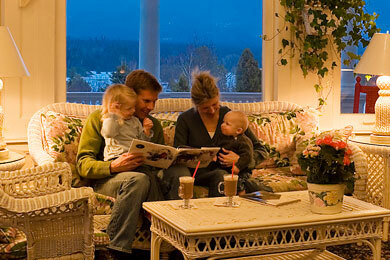 Of the resorts' three lodgings, families are probably most comfortable in the main hotel, which is closest to the action and amenities. 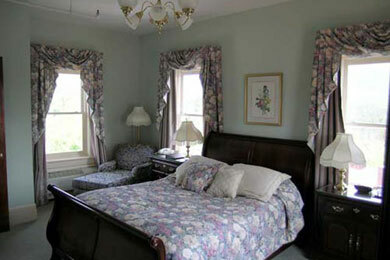 The Mount Washington Hotel includes a range of accommodations, including two levels of guestrooms, and three levels of suites. The family suite includes an additional room with pullout bed; the spacious "premier family suite" includes two additional bedrooms with twin beds, an additional half-bath and gas fireplace. 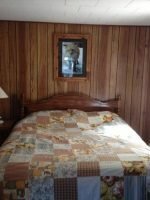 All rooms include DVDs, wireless Internet and bathtubs. Some of the family suites also have refrigerators; they are available in other rooms by request. The hotel is also renovating one of the largest family suites into a deluxe kids' suite with bunk beds, beanbag chairs, and arts and crafts area. The Bretton Arms Inn is a bit more intimate, catering more to couples; however, it can be a good choice for families with pets, as it has several pet-friendly rooms. 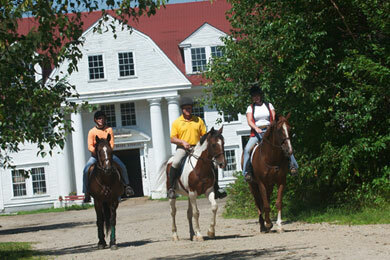 It is also close to the stables, making it convenient for families interested in equestrian activities or dog sledding. 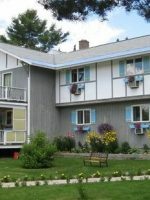 The Lodge, meanwhile, is located at the Bretton Woods Ski Area, making it perfect for families who ski together or are looking to do a fair amount of hiking or mountain biking in the summer. Some of the rooms at the Lodge also have microwaves and coffee makers. It is also the best value option, with the lowest priced rooms, and has some of the resort's best views, with the grand hotel in the foreground and the Presidentials behind. Kids stay free in all rooms at the hotel. 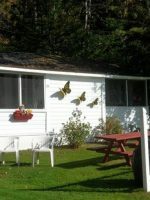 There is a $20/per person additional fee for The Lodge. Cribs are available for free; cots for a $10 fee. What a fantastic weekend we had! Above all, the generous and kind staff and the gorgeous building made for a fabulous and relaxing time. The Omni is a wonderful combination of elegant and casual. You can be equally comfortable in comfy clothes or getting dressed up to match the beautiful historic building. We appreciated the complimentary morning coffee, the many options for seating in the massive lobby or conservatory, the dining at Stickney's. The basement level was fun with small indoor pool/hottub, arcade, several stores, Peet's coffee, cave bar, and even its own post office. We booked here in part because of the many kids and family activities offered for Easter and we loved all of them. It seemed a great place for all kinds of travelers, from a quiet couple's retreat to an active family vacation. We had to go off-property for breakfast (at Munroe's, which was great) and would've liked more breakfast options at the hotel (they only had a buffet or in-room dining when we were there). While this can be an expensive place to stay, we thought it was worth it for the wonderful service, views, activities, architecture, comfort, and atmosphere. Can't wait to go back. The Omni Mt Washington is the perfect place to relax! The view from the veranda is breathtaking any time of year. The spa is beautiful and offers many services. There are so many fun things to do from hanging at the pool to hiking. Something for everyone! Most of the resorts' activities are open to kids, and several are specifically geared to children and families. 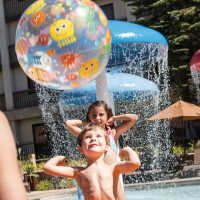 The resort includes four pools, including an indoor pool with a spacious wading area for younger kids, and a new heated outdoor pool complex, which is open year-round and includes a separate kids' pool along with a stunning view of the mountains. There are also daily family activities like candlemaking, rubber ducky races, and tye dying, all of which are free. And before bedtime, sit with the evening storyteller for a moose tale in the Great Hall at 8:45 p.m.
Winter adds even more activities, including horse-drawn sleigh rides and high-speed dogsled rides along cross-country trails -- kids of ages 3 and up can participate, older kids can even take a turn driving the sled. Other winter activities include ice-skating on an open-air rink with mountain views, and "tubing" on the huge hill beside the hotel in giant inner tubes that spin and slalom as they fly down a sculpted track. The resort offers a wealth of activities for families, including a Kids' Club in the basement of the Mount Washington Hotel with three separate programs daily for children ages 4 to 12. The morning program from 9 a.m. to noon features outdoor activities including scavenger hunts and nature crafts. The afternoon program from noon to 3 p.m. includes team-based field games and contests. The evening program from 6 p.m. to 9 p.m. is arranged around changing nightly themes ranging from safari animals to the Wild West. Dinner is provided for a fee of $10 per child. For the youngest kids, there is an on-site nursery, which can accommodate children from 2 months to 5 years. An expanded Kids Alpine Club at Bretton Woods, meanwhile, offers lessons to junior skiers at the Hobbit Ski and Snowboard School, also for kids ages 4 to 12 (six and older for snowboarding). The full-day program includes supervision, two lessons, rental equipment, a lift ticket and lunch. Kids ages three to five can join the Hobbit Ski & Snowplay Program. This full-day program includes nursery supervision, two one-hour group lessons, rental equipment and lunch. An Adventure Center hooks up guest with lift-serviced mountain biking (cool! ), scenic chairlift rides, fly fishing, equipment rentals, and horse stables with equestrian activities for all levels and carriage rides around the property. My Little Pony fans will relish the free "barn buddies" program, which includes a morning outing to the stables to participate in brushing and feeding the horses. 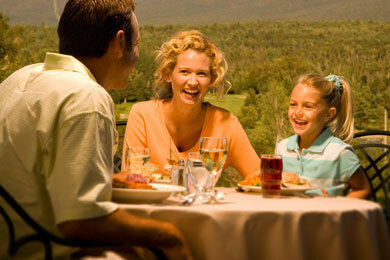 Kids are welcome in all of the resort's many dining venues. Even the upscale Main Dining Room includes a special gourmet menu for children with kid-size portions of its four-star New England cuisine. (The regular children's menu is also available.) The atmosphere is classy but not stuffy; a three-piece band plays on weekends while adults and kids of all ages dance on a parquet dance floor. Note: jackets are required for men; however, children are just advised to dress "appropriately." On the lower level of the main hotel, Stickney's Restaurant offers more casual dining, again including a separate children's menu. For those on the slopes, The Grille serves burgers, wings, and other pub fare for lunch during wintertime at the Alpine Center. The most intimate dining room, at the Bretton Arms Inn, is also probably the least appropriate for children, however, well-behaved diners will be perfectly welcomed. The favorite venue for many families, however, is Fabyan's Station, an old train depot that has been converted into an apres-ski dining venue just outside the main grounds of the resort proper. Half of the restaurant is a convivial bar scene; the other half is a casual dining establishment decorated with railroad memorabilia and serving a decent if not spectacular menu that ranges from chili and French onion soup to prime rib and rack of lamb. Kids' meals include a drink and ice-cream cup. All of the restaurants on the property feature standard kids' menus as well as highchairs, booster seats, and paper and crayons at the table. The resort has a variety of meal plans to choose from, including Modified American Plan (breakfast and dinner), B&B and B&D (breakfast and dinner). Due to the flexibility of the dining options available few guests feel the need to venture off property for meals -- a good thing, since the dining options in the surrounding mountains are extremely limited. The Omni Mount Washington is located two and a half hours from Boston, and some six hours from New York. The nearest airports are in Portland, Maine, and Manchester, N.H., both located approximately two hours away. The resort is open year-round. The most crowded time is during the winter months, when many guests come to ski. Fall foliage season can also get quite busy. Even during popular times, however, the size of the resort ensures there's always plenty of elbowroom. For bargains, the best time of year to visit is spring or early summer, when weather in the mountains can still be quite cool, but the resort still provides plenty of activities to enjoy the outdoors. Kids are well taken care of at the resort; young kids are greeted with a welcome bag containing several toys (a ball-and-paddle, a flashlight, a canteen fillable at any of the resort's restaurants). Chocolate-chip cookies and milk are provided at turndown on the night of arrival. Babysitting is available through an independent contractor at the rate of $10 an hour, and an additional $2 per child up to four children. While the little ones are at Kids' Club, parents can enjoy a round at the resort's 18-hole Donald Ross golf course, or experience the new spa, which incorporates a unique line of alpine botanicals from the summit of Mount Washington.